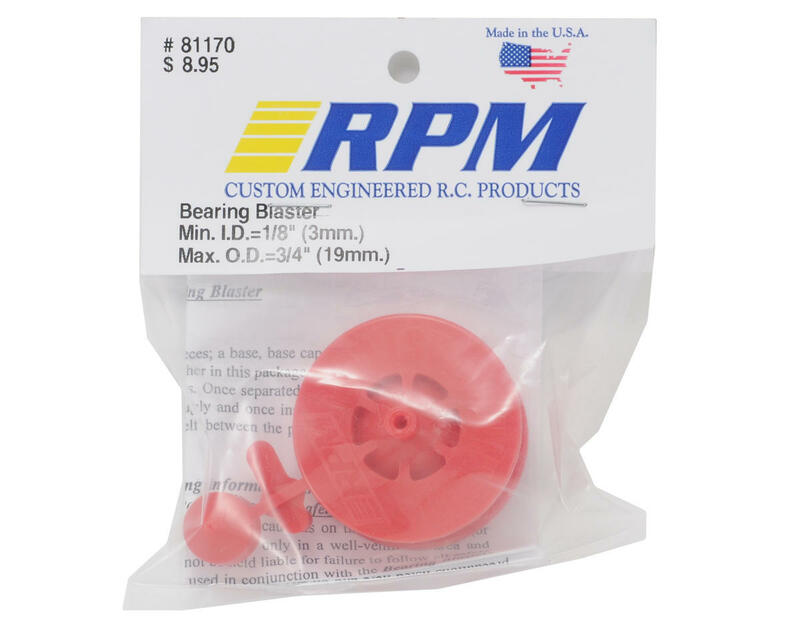 This is the Bearing Blaster from RPM products. This bearing blaster is perfect for preparing 1/8th scale and monster truck clutch bearings for use. Before you use the bearings for the first time, put the bearings into the bearing blaster and blast out all the grease with a can of electric motor cleaner or nitro cleaner. Once the grease has been removed, re-oil the bearings with a single drop of regular machine oil, and you are good to go! You can also use the bearing blaster to clean dirty bearings when you are maintaining your vehicle. Price should be lowered a little bit, but this does the job to clean those bearings. Just place a towel to catch all the dirt and cleaner/oil from the bottom. Great little item for cleaning all types of bearing sizes. Have had one of these since they were first released. You still have to pull seals to get the bearing really clean(like they should be) if you are going thru the process of trying to clean. Buy rubber sealed brgs,,you'll thank me later. 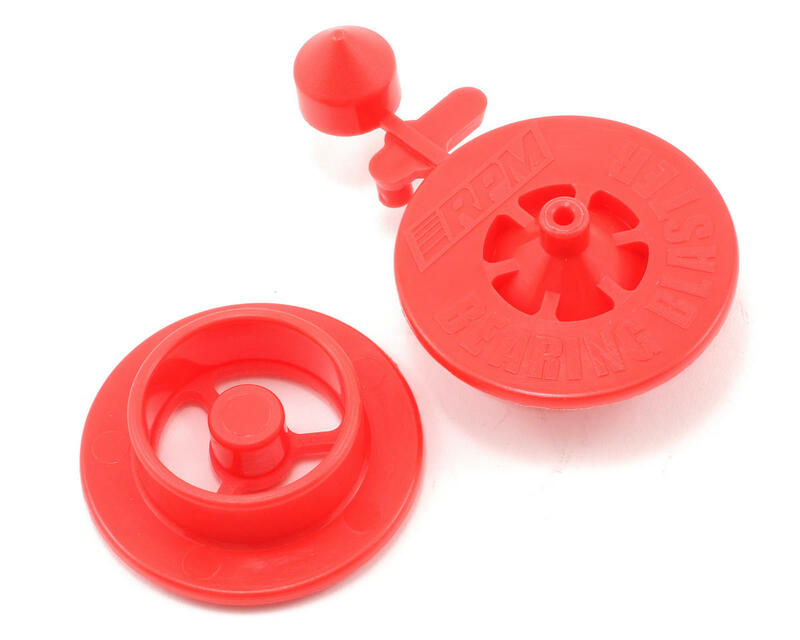 because you will be able to pull the seals and reuse them. You use alot more cleaner trying to ricochet the cleaner thru the bearing balls and races when using metal sealed brgs with the seals in place. Unless of course you try to pull the metal seals and then reinstall them without bending the seals or locks(good luck). I use some strainer material over a drip pan, underneath the RPM tool to catch the QD elec cleaner leftover for the sonic bath. Great item! If you run off-road this is a must have in the tool box! Use this for all my bearings when they get dirty. Been running the same bearings for a whole season with this. Works well when you use it in a plastic bowl to catch the used motor spray. this blaster work great on my real small bearing for my df03ra that i could not take off dust guard clip .